DAN BROWN is the author of numerous #1 international bestsellers, including The Da Vinci Code, Inferno, The Lost Symbol, Angels & Demons, Deception Point, and Digital Fortress. "Fans of The Da Vinci Code rejoice! Professor Robert Langdon is again solving the mysteries of the universe." "A brisk new book that pits creationism against science, and is liable to stir up as much controversy as The Da Vinci Code did. In Origin, the brash futurist Edmond Kirsch comes up with a theory so bold, so daring that, as he modestly thinks to himself in Brown’s beloved italics, “It will not shake your foundations. It will shatter them.” Kirsch is of course addressing The World, because that’s the scale on which Brown writes. Brown and serious ideas: they do fit together, never more than they have in Origin." "Origin asks the questions Where do we come from? Where are we going? They are questions about humanity--but they could just as easily be questions about Robert Langdon. The Mickey Mouse watch-wearing, claustrophobic, always-near-trouble symbology professor is back in Dan Brown’s latest book. And just like he was in his original exploits (Angels & Demons and The Da Vinci Code), Dr. Langdon is once again wrapped up in a global-scale event that could have massive ramifications on the world’s religions. As he does in all his novels, Brown[‘s] extensive research on art, architecture, and history informs every page." "Entertaining . . . 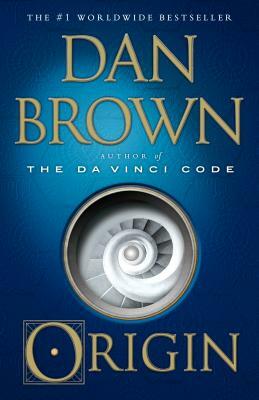 Loyal fans of his globetrotting symbologist Robert Langdon will no doubt be thrilled with the fifth book in the series." "Dan Brown is once again taking on the big questions: God and science and the future of the world. Origin is a familiar blend of travelogue, history, conspiracies and whodunit, with asides on everything from the poetry of William Blake to the rise and fall of fascism in Spain." "The bestselling author of The Da Vinci Code is back with a new book that looks to the future. Origin features many of Brown’s signature themes. An evil, Catholic-adjacent cult, in this case the Palmarian Church, is behind some murders. Gems from art history are the key to solving the mystery. [And] if the reader is in it for the thrill and the twist, the faithful will be glad to hear that there’s a Da Vinci Code-esque background to Robert Langdon’s mission."